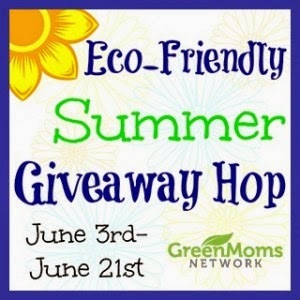 Welcome to the friendly Summer Giveaway Hop, hosted by Happy Mothering,Easy Green Mom and Brittleby’s Corner through the Green Moms Network! Each of the participating blogs is offering a prize package to help you have an Eco-friendly Summer! We hope you’ll get ideas for having a green summer vacation and win some great prizes. After entering my giveaway, be sure to hop around and enter all of the other giveaways listed on the linky at the bottom of this post! 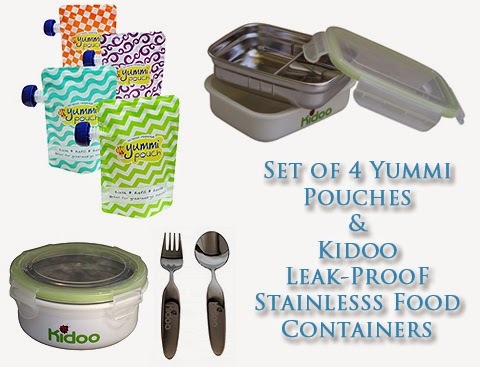 Here at Eco-Babyz we are giving one of you a chance to win a set of 4 Yummi Pouch Brights and Kidoo Stainless Cutlery and Leak-proof containers from NoPlastic.ca. This great reusable set of goodies will make it much easier to pack snacks for your baby, toddler, or child. The pouches are perfect to fill with yogurt or a smoothie and make it easy for even a young child to feed themselves. They are designed to be easy to fill and they are freezer safe, dishwasher safe, BPA-free, and Phthalate-free. The Kidoo containers are great for both dry and moist snacks. We use them all the time for dry fruit, olives, cheese, cut up fruit, and even liquids, and I've never had them leak! Giveaway open to U.S. and Canada. Enter to win via the Rafflecopter form below. Be sure to enter the grand prize giveaway! 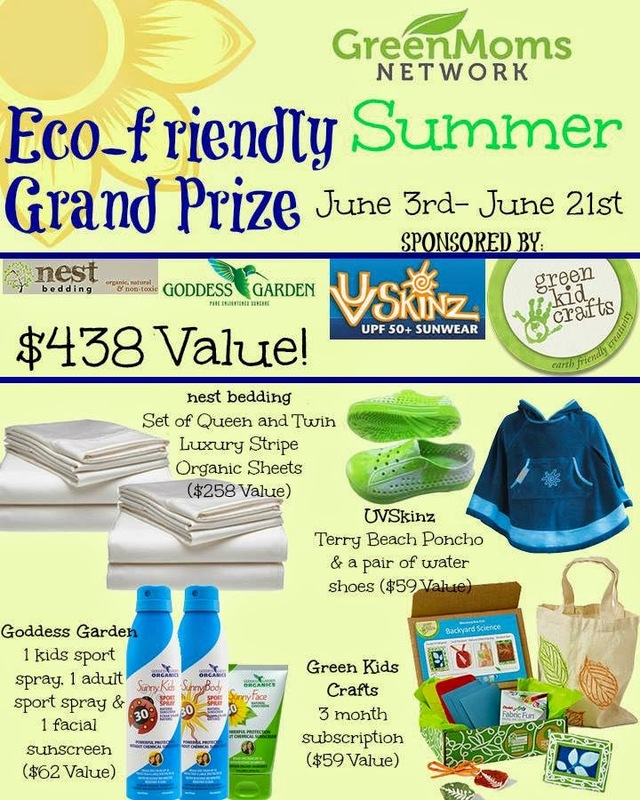 One winner will receive queen and twin organic sheet sets from Nest Bedding; one kids sport spray, one adult sport spray and one facial sunscreen from Goddess Garden; a beach terry poncho and water shoes from UV Skinz; and a 3 month subscription from Green Kids Crafts. Enter here. Disclosure: This contest will run through June 21, 2014 at 8:59 pm PST (11:59 pm EST). The winner will be chosen the following day and announced on Eco-Babyz. No purchase necessary. US entries only. Must be 18 years or older to win. This promotion is in no way sponsored, endorsed or administered by, or associated with, Facebook. You understand that you are providing your information to this blog and not to Facebook. Please note that Happy Mothering, Easy Green Mom, Brittleby's Corner, the Green Moms Network and the Green Your Mom event bloggers are not responsible for sponsors that do not fulfill their prizes. We have represented each sponsor with the expectation they will fulfill their prize and in a timely manner. We will contact the sponsor regarding your prize(s). The sponsors, in most cases, are shipping their items to you directly. I will make every effort to assist you obtaining your prize. If there is an issue with a sponsor, please notify the blog you won a prize from within 4-6 weeks for assistance, after that we may be unable to assist you. I'm most excited about the Yummi Pouch Brights. I enjoy reading your recipe posts and trying new recipes. My favorite I tried was the Chocolate Mango Jello Pie. I love the yummi pouch giveaway and i enjoy reading all eco babyz blogs. I most related too the toddler sleep blog article. I am most interested in the 2year old tantrum post because I have a two year old. I am most excited it win the stainless steel containers because I don't like plastic. All of the prizes look great. I'm always on the lookout to add more reusable stuff to my kiddo's lunch rotation, but I'd be interested to see how this brand of reusable pouch compares to others. And your recipes are always great to try! Thanks! I would most like to win the Yummi Pouches and was really interested in the posting on soap. I would love to have the stainless steel containers because I hate using plastic to store my childrens food. I am a big fan of all of the products and thank you for such a fabulous giveaway! Great blog, love getting tips on green living! I'm excited about the stainless steel leakproof containers. I love reading about products that you love and I love how they are organized. I'm excited to win the silverware the most I think. I love that it isn't plastic! As for relating to your posts, I'm really glad I found this site because we are going to have our first and so many of the articles seem like they'll help me! I would loooooove to win the Kidoo dishes. My son is getting to the age when they'd come in very handy. I outlawed plastic in our home before the kids even came along. I'd love to have something other than glass handy. I relate to the Motherhood is... hard | beautiful | fulfilling post. I am interested in the food containers. i'm excited about the kidoo leakproof container. this would be great for apple sauce which is my son's favorite snack. my favorite has to be the skip hop diaper bag and i always love ur post about cloth diapers they help me alot! I am definitely interested in the kidoo containers! They would be perfect for my son's snacks! I love this whole set of prizes, but I would be most excited to get the yummi pouches. I enjoyed reading How Do You Show Them Thankfulness? I am most excited to win the Kidoo stainless containers. I also loved the post on ways to eat avocado. We love our avocados in this house! Love the stainless steel containers!! Been trying to avoid plastic lately! I related to the sleeping toddler post the most.. :) Love your blog btw! I'd love to try the stainless steel containers! The toddler sleep issues post was good...the fresh air/sunshine/no screen time are good suggestions. Love the Kidoo Partitioned Food Storage Container! 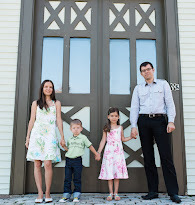 I can certainly relate to the "Motherhood is...hard/beautiful/fulfilling" post - and I agree! I like the Leak-proof containers and enjoy the posts on recipes. Excited about the Leak-Proof Containers & love Yummi Pouch! I really enjoyed the Toxin-Free Alternatives to Antibacterial Triclosan Soap post. I'm loving the multiple compartments in the reusable containers! My toddler loves cheese and crackers, but I can't store them together in his container without using a snack baggie. I'm excited about the stainless food containers. I can relate to the post 3 ways to prepare your child for life....great advice. The yummis pouches are so neat! The individual ones in the store can be super pricey, especially for organic! I love the post on Natural Remedies for Postpartum healing! I will definitely be using some of those when my little guy arrives this fall! I'm excited about the pouches. I enjoy reading the creating a non-toxic nursery post. Thanks for the chance to win! I'd love to try the pouches! I'm excited about the Kidoo containers! I like the Toxin-free Alternatives to Antibacterial Triclosan Soap post! I really like the post on surviving the glucose test. I almost NEVER had morning sickness and drinking that vile orange crap in my first pregnancy almost managed to break that. I was ill for THE ENTIRE DAY after drinking it. For my second pregnancy I talked with my midwife and we decided to skip the test all together. It would be SO wonderful if more expecting moms knew that there are other options for that test! Awesome, that's great you found out there are other options with #2! I am most excited about the stainless steel containers. The sheets would be an awesome win for us - we need some new ones. I'm excited about the Yummi pouches because I buy a lot of the pouch food for my baby and my toddler because they are convenient, quick and less messy. Would be nice to save some money and make my own food or be able to buy the cheaper jar food and put it in the more convenient pouches. I would love to have the stainless steel containers for my son's lunch. I make his lunch daily. I am excited about both but if I had to choose I guess the stainless steel containers. My daughter could use any of these products. I enjoyed reading the Solutions to Toddler Sleep Issues post. Currently my daughter is cosleeping. Wakes up throughout the night. Will try what you stated. Think a lot of it is because she spent 4 1/2 months in the hospital. She keeps making sure I am still here. I am most excited about the Yummi Puches because I can make my own. I am most excited about the Leak-proof containers and I enjoyed reading http://www.eco-babyz.com/2011/10/over-counter-drugs-double-risk-of.html...we had a miscarriage back in March which I am still emotionally "bruised" from. I was not taking NSAIDs or anything of that nature and I know that sometimes "it just happens". We are trying again and it seems like my hormones (LH) is a little out of whack. I hope that it happens soon and I hopefully wont need to take any antibiotics like I did with our son (I had a fistula). 10 Unique Books My Kids Love post. Very excited about the Kidoo containers. I liked the article on the unique books that your kids love. It gave me some ideas of different books for my daughter, and I learned that you are a bilingual family (which I did not know before!). I need leak proof containers! Like all the prizes, the Stainless Steel Containers are my favorite. Really enjoyed reading the Solutions to Toddler Sleep Issues Post. I really like the Yummi Pouches. I enjoyed the post about 3 ways to prepare your child for life. I'm excited about the Yummi pouches! I love the post about the unique books your kids love! The stainless steel containers! I like reading the toddler sleep issue post. I have had my eye on the yummi pouches forever! We travel 15,000kms a year with our entire family (and animals) so space is limited and I think these would come in handy. I love all the recipe articles. Thanks for making this giveaway open to Canadians. Thanks for this giveaway opportunity! I'm most excited about the Kiddo Containers. I like homeschooling blog posts best. I think I like the silverware most. We could really use that. I like the food containers :) I liked the post featuring the Woolino Giveaway on FB !! Thanks!! I'm most excited about the stainless steel food containers. I also thought the pregnancy blog posts like about vaccines and the vitamin K shot were informative and interesting to read. I liked your spring photo session! It was a beautiful day! I really want to try the stainless steel lunch container. I've wanted to get one for my son for a while but haven't had a chance. I'm most excited about the Kidoo leak-proof containers! I enjoyed reading your blog post about Maudslay State Park. I'd absolutely love either of the stainless containers! we're trying to replace all plastic! i like the stainless containers and the post about solutions for toddler sleeping issues. I am most excited for the food containers prize and I really liked your post about the 5 foods that may make your breastfed baby fussy! I am excited about the stainless steel containers. These will be great for when my daughter starts school or when we go on picnics. :) I enjoy your recipe posts. I am excited about the Yummi Pouches. I liked reading about you kid's favorite books. I like the containers. And I enjoyed the 10 Unique Books My Kids Love post. I like the stainless steel kiddie cutlery. I am excited about the Yummi Pouches. I enjoyed reading the post about two yeqr olds temper tantrums. the Yummi Pouches would be great for my sister in law to have for the kids.